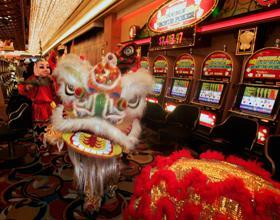 Cultural Heritage: Why are Asians more prone to gamble? Perhaps, when you have visited a casino or walked through predominantly Asian neighborhoods, you have seen how many people in this community have an especially strong love of gambling. Although at first you would not think anything of it, the truth is that this constant gambling has become a problematic issue in many Asian groups like the Chinese, Vietnamese, Filipino, Korean and Cambodian populations. Therefore, some activists within these communities are looking for ways to create awareness in order to eradicate the addictive behaviors and bad practices that come with gambling problems. According to Timothy Fong, the co-director of the Gambling Studies Program at UCLA, the issue with Asian gambling addiction has to be taken seriously: “[t]his isn’t a special-interest group over-blowing a problem. We think this is real.” In fact, Fong conducted a study analyzing Asian gambling behaviors which he published in 2009. The worst part is that this problem has been around for a while now, but nothing seems to be changing. For example, in 1999, a poll conducted by social services in Chinatown, San Francisco declared gambling as the community’s #1 problem. Within the community, 21% of interviewees thought of themselves as pathological gamblers and 16% more admitted to having some sort of gambling problem. This poll was conducted 15 years ago and this issue has not a changed a bit, in fact, it seemed to have escalated. Families are constantly bailing out family members and paying high sums to loaning sharks, but they do not make the person seek any help or counseling. So, what makes them so obsessive when it comes to betting? The answer might lie in the way they were raised. In many parts of Asia, gambling is an activity that is learned from infancy. Family gathers usually contain gambling as the older members of the family teach the younger ones how to bet for money as a form of entertainment. This habit is reinforced in other environments like school, friend outings, etc. This is especially true in the Chinese population, which exhibits high levels of gambling. Plus, most Asian cultures strongly believe in the concepts of chance, fate, luck, and numerology (they consider the number 8 extremely lucky and the number 4 as a bad omen). Take for example the Chinese New Year, in which a lot of people gamble because they consider it to be an extremely lucky day, since the good luck of the upcoming year comes intensely to sweep away with any bad luck of the old one. According to Fong, Asian ideas of fortune and the notion that everything is predetermined is what makes gambling so alluring to Asians, who relish in the opportunity to test their fate. Plus, the casinos are not helping either. Asian costumers translate into good business. Therefore, most casinos are instructed to treat the Asian clients in a very special way because they are very big spenders. They lure them with personalized treatment, free drinks and cigarettes. Case in point, online gambling sites like the Maryland Live’s Web site can be accessed in five languages, including Chinese, Vietnamese and Korean and features an Asian inspired noodle restaurant in its live casino in order to cater to the preferences of its large Asian clientele. Most casinos do not think of these practices as harmful to their Asians clients because they say that they are simply performing a service that these people are impatiently looking for. What do you guys think? Are they in their right to capitalize from the weaknesses of a specific community or is this a dirty way to make a profit? Let us know in the comment section!